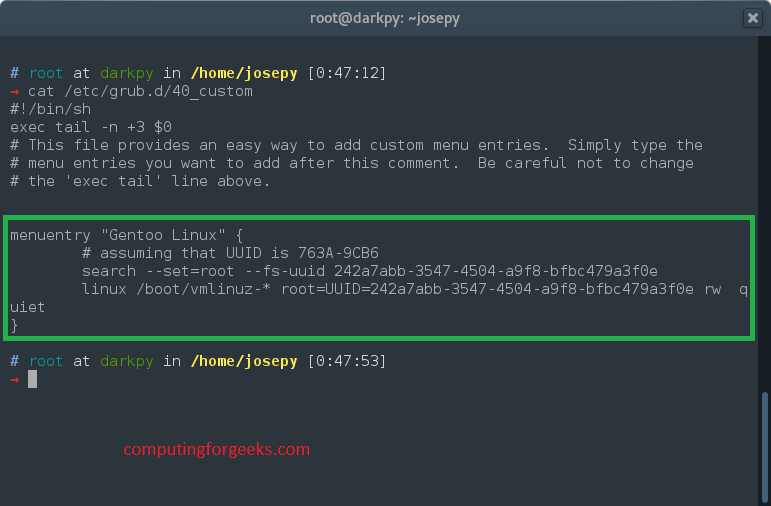 As I’ve made Arch Linux my Primary OS, I was faced with a task of adding a Menu Entry to GRUB2 so that I could boot into my secondary OS ( Gentoo), by just selecting which one to boot to on Grub2 menu. This will work for any Linux distribution you want to dual boot with Arch Linux. 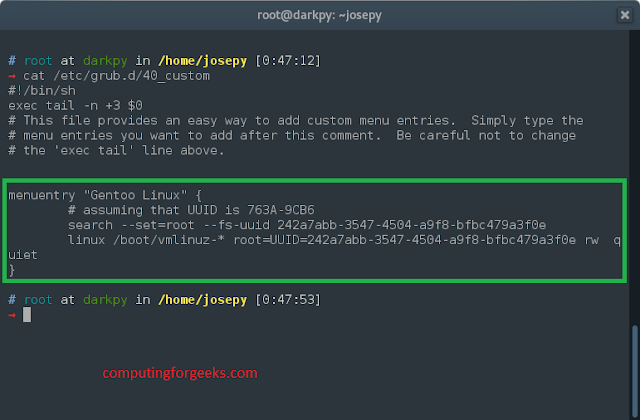 Now mount root partiton for that Linux system and check the name of executable Linux kernel under /boot directory. Once you have that two information that we need, we can now configure Grub menu entry. Then add the following lines according to your specifications. Replace 242a7abb-3547-4504-a9f8-bfbc479a3f0e with root partition’s uuid for one you’re adding, and /boot/vmlinuz-* with the location of your executable linux file. Then update grub to generate a new grub.conf file.